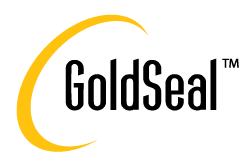 Westcon is pleased to announce the introduction of GoldSeal, our Polycom Maintenance programme for partners. GoldSeal delivers unmatched technical support for you and your clients. GoldSeal gives partners access to a committed team of world-class technical experts that are a direct extension of your business. We’re your partner in keeping your clients’ technology current and in ideal operating condition, resulting in a positive ownership experience for years to come! Goldseal is a direct alternative to Polycom maintenance but with greater margin for partners. To order GoldSeal maintenance simply apply your standard Polycom discounts to the price lists at the foot of this page and submit your orders as normal. Unlimited End User Training: Your customers receive one-on-one, customised training for covered Polycom video or audio conferencing systems. Our goal is to provide you with the information and hands-on experience they need to feel comfortable with their Polycom solution and to confidently use it throughout their organisation. Please note that training is delivered remotely and must be scheduled at least a week in advance.